Eliminate all effects and damage from the filthy liberal attack. 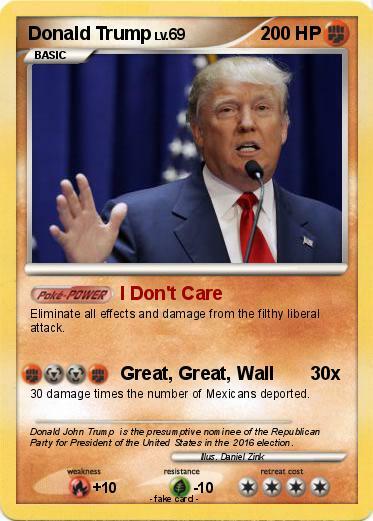 30 damage times the number of Mexicans deported. Comments : Donald John Trump is the presumptive nominee of the Republican Party for President of the United States in the 2016 election.